Most of us still think that social media is a bit of fun. It’s a place where we might express parts of our personality we normally keep hidden or engage in arguments we’d never have otherwise with total strangers. After all, what’s the harm, it’s not like it’s the real world? Trouble is, the courts don’t look at social media that way, as a recent case in NSW demonstrated where a woman’s Facebook status was used as evidence that she was no longer in a relationship with a man, despite sharing accommodation and having children together. The dispute centred around the deceased woman’s funeral. Her mother wanted her cremated, and the man she was living with (and father to her children) preferred burial. Although they had previously separated, the man and woman had resumed living together shortly before her death and the man considered their relationship resumed. However, her “single” listing on Facebook and several status updates were enough for the courts to consider her still legally single, and her mother was appointed her next of kin, giving her the power to determine how the body should be dealt with. So what are the potential ramifications of this case? Let’s explore a few hypotheticals. Rage posting – Something happens between you and your partner, and your partner goes online and changes their relationship status and posts about never wanting to see you again. It’s the kind of thing that might blow over, but that night she goes for drinks and fall down some stairs. They die without Will. 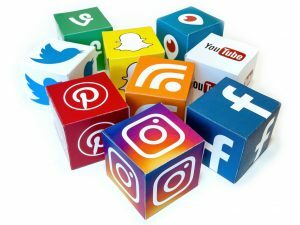 Under this NSW court decision, those social media posts could possibly be seen as an emergency will and you could be cut out – or lose a sizeable chunk – of an estate, despite having built a life together. Cupid’s misfire – A long marriage ends, and neither party has the energy to deal with the legal fall-out any time soon. With feelings hurt, your husband finds solace in a younger woman. It’s a midlife crisis bound to fail, but all very showy; his social media filled with updates on holidays together with beaming selfies, over-the-top declarations of love and a newfound hope for a life together … when a heart attack stops this burgeoning romance in its tracks. Your ex didn’t update his Will, but there’s a chance courts might look at this online activity, coupled with private messages between the pair, as a true indication of your ex’s wishes and the rebound girl could have a claim against your matrimonial assets. The secret is to understand that social media has real world implications. If it’s written, it can be evidence. Same goes for voice messages, videos and other platforms. The law is constantly evolving in this field, but it’s playing catch up, so if you can keep the emotion out of your online life if at all possible. It also demonstrates the need to have a quality and professionally designed estate plan in place. Speak to Welden & Coluccio Lawyers today about how we can help secure your future.